Circle Food Store, a landmark in the historic Treme neighborhood, opened in 1939 as the first African-American-owned grocery store in New Orleans. It closed in 2005 when it was inundated with five feet of floodwater following the levee collapse. 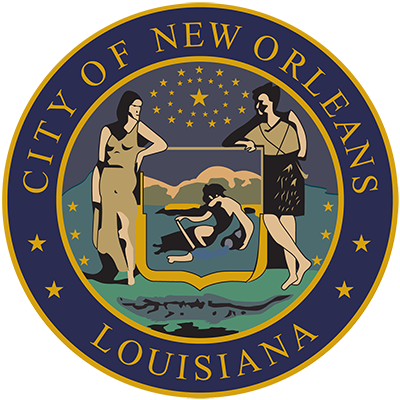 But with lots of elbow grease, support from the City of New Orleans Fresh Food Initiative, and a strong spirit of resilience and perseverance, Dwayne Boudreaux and his family reopened the iconic store in January, 2014. The West African word, Sankofa means ‘to look back at the past to build your future.’ Is there any more relevant phrase for considering topics like food culture and sustainability? In her work as founder of Sankofa CDC, which was established in 2008, Rashida Ferdinand is using the stories and habits of her own past to influence the future of others, and to create a more resilient community in the Lower 9th Ward. Hanging in the main dining room of Café Reconcile, a popular eatery in the Central City neighborhood of New Orleans, is a banner that reads “HUMAN BEANS BE THE ANSWER.” That message belies the mission of Café Reconcile, a place founded on the premise that the power of reconciliation can help us overcome poverty, prejudice, and fear, both within ourselves and in the larger community. Bivian “Sonny” Lee, the son of a former New Orleans Saints defensive back, lost his father at a very young age, and the impact of that loss in his life fueled his passion to provide direction and opportunity to young males who have lost their fathers due to street violence or long prison sentences. In establishing Son of a Saint in 2011, Sonny’s mission is to enhance the life of fatherless boys and inspire mentorship in New Orleans and beyond. It is a Sunday afternoon in late May, and the St. Roch Market, located along the busy St. Claude commercial corridor, is bustling. People, from infants to seniors, are milling about, studying the menus from the vendors, or dining at crowded tables. Some are lucky enough to grab a seat, while others appear happy to make do standing at a high boy enjoying their meal. As was the case with more than 17,000 other students, Lindsey Price had just begun another semester on the campus of the University of New Orleans (UNO) in mid-August, 2005. The University that semester had achieved an all-time high in its enrollment with 17,300 students. It placed UNO as the second largest institution of higher learning in Louisiana. The summer of 2005 was a time of celebration for Angelo Broacato’s, the family-owned Italian bakery and ice cream shop that is a tradition in New Orleans. And then came the flood waters following the failure of the federal levees after Hurricane Katrina made landfall on August 29, 2005. Approximately four feet water heavily damaged their parlor and bakery on N. Carrollton Avenue in Mid-City.